Can placebo heal underlying conditions or just change our experience and perception of them? Jo Marchant and I explore the placebo effect — problems with how it is defined, the measurable biological and physiological effects, and how clinicians and patients can harness its effects. I asked Jo to come on the show because I recently read her book called Cure: A Journey Into the Science of Mind Over Body, and I mentioned it in an email recently because Jo has written extensively about the placebo effect, which is something that I’ve been interested in for many years and something that I don’t think gets enough attention because it has some very profound implications for how we approach our own healing, how we work with our kids when they get sick, and if you’re a clinician, how you work with your patients. 19:38 Can placebo heal underlying conditions? Hey, everybody. Welcome to another episode of Revolution Health Radio. I want to apologize in advance for any audio quality issues today. I’m still in the process of moving my old home office to my new home office, and I don’t have all of my equipment set up yet. There’s also quite a bit of construction going on around the house and in the neighborhood, so we’ll do the best we can. I’m really excited today to welcome Jo Marchant as a guest on my show. Jo Marchant is an award-winning science journalist and author of three books. She trained as a scientist and has a PhD in genetics and medical microbiology from St. Bartholomew’s Hospital Medical College in London and a master’s in science communication from Imperial College London. Jo has worked as an editor at New Scientist and at Nature and has written on topics from the future of genetic engineering to underwater archaeology. Her articles have appeared in publications including The New York Times, The Guardian, and Smithsonian magazine. She currently lives in London. I asked Jo to come on the show because I recently read her book called Cure: A Journey Into the Science of Mind Over Body, and I mentioned it in an email recently because Jo has written extensively about the placebo effect, which is something that I’ve been interested in for many years and something that I don’t think gets enough attention because it has some very profound implications for how we approach our own healing, how we work with our kids when they get sick, and if you’re a clinician, how you work with your patients. I’m really looking forward to diving more deeply into a discussion about the placebo effect with Jo, so let’s get to it. Chris Kresser: Jo, thank you so much for being on the show. I’ve really been looking forward to speaking with you. Jo Marchant: Hi! Thanks for having me on the show. Chris Kresser: Before we dive into placebo and your book, I’d love to just learn a little bit more about your background and how you became interested in, let’s call it, mind over body, as you did. Jo Marchant: I’m a scientist by training. I had a PhD in genetics and medical microbiology, so I started out as a very black-and-white scientist, I guess you could say. I want to see the evidence, I want to understand mechanisms and look at the trials behind things to really understand them, and I was just writing about a lot of different areas of medical research in my work as a science journalist because since doing my PhD I’ve been an editor and science writer for about 15 years probably, and it just seemed to me that there were certain questions that science wasn’t doing a great job at answering. We all know from experience that our mental state can have quite dramatic physical effects. When we’re stressed and nervous, for example, that can have a real effect on your gut. If you’re narrowly missed by a car, you feel your heart race. Even if you just think about biting into a lemon, you often get that tingling feeling at the back of your mouth where your salivary glands are starting to work. We know that there are effects of the mind on the body, but when it comes to whether that influences health, that question gets much more controversial. You get a lot of sort of exaggerated claims of miracle cures and healing thoughts, and on the other side, you get skeptics insisting that there’s no role for the mind whatsoever in health. That just really intrigued me. I wanted to look at what the evidence really is, what are scientists finding out about this. Chris Kresser: We find ourselves in a particular period of time, and we have, of course, particular attitudes about these things at this point in time, but it wasn’t always this way, was it? It seems to me that maybe even just a hundred years ago there was a much greater appreciation of the role of the mind in healing and health, and the advent of the randomized clinical trial and the appreciation of that in medicine, which has been really positive in a lot of ways, has also influenced or maybe changed the way that we look at the role of the mind in healing. Can you talk a little bit more about that? Jo Marchant: Yeah, you’re right, but I think there are several things going on. Yes, centuries ago it was taken for granted that the mind and body were entwined and that your mind was very important for your physical health, and several things have happened. In science, the sort of separation between mind and body goes back to the French philosopher Rene Descartes in the 17th century, where there were battles between science and the Church over sort of who had the right to knowledge, if you like. He kind of came up with this solution which said that physical objects, measurable physical matter, were an appropriate topic for scientific inquiry, whereas the sort of ephemeral soul and spirit, if you like, couldn’t really be studied scientifically and were sort of left to the Church. That isn’t really how we look at the mind and body now. Most neuroscientists would say that the mind and brain are entwined. You can’t really have a thought without some physical change occurring in the neurons of your brain, but that hangover from Descartes, this idea that mental phenomena—our thoughts, emotions, and beliefs—just aren’t as real as physical objects and matter. That still pervades a lot of science, I think. Then there were various medical advances—the invention of the autopsy, for example, where doctors could start to diagnose conditions by looking physically at the dead body to see what had gone wrong with it, looking for structural changes, and that kind of became more important than the patient’s subjective report of how they felt. Microscopes, for example, different diagnostic tests have all shifted medics towards this sort of physical, structural framework in terms of looking at what has gone wrong rather than listening to patients. And then, you’re right, the randomized controlled trial in the 1950s. We test medicines now against fake medicines or placebos, and that’s really important that we do that. That’s been a really fundamental advance in medicine. It means we don’t get fooled. We can check whether medicines work or not, and that has saved a lot of lives, but at the same time, it means that we kind of automatically discount everything about a treatment apart from the direct biochemical effect of that drug. Everything to do with how that treatment is delivered—the interaction with the medical practitioner, the patient’s hopes and expectations and beliefs—all these other things get sort of discounted, and we don’t have any way to measure or value those, so I think that has really pushed away from the concept of doctors delivering care to this focus on the physical drug and treatment. Chris Kresser: Right, to the point where there’s even a suggestion that care will be kind of automated and done by an algorithm or an app and can be done just as efficiently, which some have actually argued that it’s just a question of making a diagnosis based on certain criteria and then making a prescription, and the doctor may not even necessarily need to be involved in that process in some cases, which I think is really overlooking this, what we’re going to be talking more about today. So we have this Cartesian dualism that has informed allopathic medicine or really been the basis of it from the beginning, and then we have the autopsy and the randomized clinical trial. It’s interesting to me that one of the doorways back into this connection between mind and body—if we can even say that there’s a connection because really that implies there’s a separation in the first place!—is this placebo effect. It’s something that has been denigrated for so long, and it shows up in the language around it, like “null” and “sham” and “dummy treatment,” these words that are not really positive words, and if you’re looking at it from the perspective of a drug company, the placebo effect is your nemesis. It’s not something that should be celebrated or explored from the perspective of how we can use it. So I would love to spend the rest of the time talking about the placebo effect as an example of this mind-body interrelation, and maybe we could start with three or four of your favorite examples of the power of the placebo effect. Jo Marchant: OK. First of all, I think you’re absolutely right that the placebo effect has this sort of negative reputation as something where we’re being deluded and it’s all about fake pills and it seems a bit suspect, but actually I think this research is fundamental because the placebo effect is basically everything else other than the direct biochemical effect of the pill. It becomes everything to do with our mental state and attitude and the care and the social support we’re receiving and how stressed we are. All of those things to do with medical care have been sort of dumped in and discounted as part of the placebo effect, so I think it really is a route into something fundamentally important about medical care. So examples: In the first chapter of the book, I talk to Bonnie Anderson. She’s in her 70s and she lives in Minnesota, and she slipped on wet tiles on her kitchen floor and fractured a vertebra in her back. She had a fractured spine. So she took part in a clinical trial for a promising new surgical procedure called vertebroplasty, where cement is injected into the fractured vertebra to strengthen it, and this was a few years ago becoming incredibly popular, getting quite dramatic results. Patients were really benefitting from it, and so Bonnie took part in this trial. Afterwards, she told me, it was like a miracle. The pain went. She was keen golfer. She hadn’t been able to play golf. She couldn’t stand up to do the dishes. She couldn’t sleep at night. All of these things she was then able to do again. And then—you’re going to guess what’s coming!—it turned out that she was in the sham surgery group, the placebo group, so she had actually received fake surgery. We often think about fake pills when it comes to placebos, but it’s any kind of medical treatment if you have a kind of fake version of it. And she still benefitted, and the trials as a whole, or actually two different trials were carried out at about the same time, both showing similar results, where there was no difference between the real vertebroplasty and the fake vertebroplasty, which was carried out in exactly the same way except that the cement wasn’t injected, but both groups did really well. It’s kind of showing you that placebo effects aren’t just to do with things like headaches. They go across all different sorts of conditions. And it’s not just to do with pills. It’s surgery as well. In fact, generally with surgery, you get bigger placebo responses because part of what seems to feed into the placebo effect is how impressive a treatment is, if you like, how much expectation it’s creating in the person that they’re going to be feeling better, so surgical techniques can be extremely effective. Chris Kresser: Yeah. I remember reading a study awhile back from Dr. Bruce Moseley who is an orthopedic surgeon who had done studies indicating that placebo surgery can be as effective as the real thing for knee surgery. I think I even saw an interview with a patient from one of those surgeries. It was a guy who was basically in a wheelchair before the surgery, he could hardly even walk, and then it showed him playing basketball with his son after the surgery. It was a TV interview, I think, and it came around to the same kind of story that you just told, where he had this dramatic improvement, and then he was told that he was in the placebo group, and it actually had a profound effect on him because he realized that his mind and belief could have such a powerful influence on his body, and he had almost kind of like a spiritual awakening kind of experience through that process. He was someone who had not really thought about those things at all before. That’s kind of an interesting thing about the placebo effect to me, as well, what it can tell us as individuals about our own capacity to heal or to shift our perception of our symptoms, which is, I think, to a large extent what the placebo effect is about or can tell us in terms of how we approach illness. There are so many good examples in your book that it’s hard to pick a few, but any others that stand out for you? Jo Marchant: Yeah, there’s some really interesting research coming out of Harvard trying to tease apart different components of the placebo response, looking at patients with chronic arm pain, for example, or others with irritable bowel syndrome. So everybody gets placebo acupuncture, which is where you put the needles in the wrong places so they don’t fully penetrate the skin, and then comparing, for example, a warm, empathic practitioner with a cold, but polite practitioner, and the patients have dramatically better relief from their symptoms if the practitioner is warm and empathic. There’s another one in acid reflux disease, showing that patients do much better even if everyone has placebos if they have a long consultation with their physician with lots of personal questions, compared to a short standard consultation. In terms of teasing out what are the factors that feed into placebo responses and what helps to maximize placebo responses, that’s really interesting. I guess my third example would be that there’s a study looking at ulcer medication, comparing trials for the same ulcer medication in different countries and showing that the placebo response rate varies dramatically. In Denmark, for example, 59 percent of people respond to the placebo, so in the clinical trials they’re getting the placebo, and then in the trials of the same drug in the placebo group in Brazil, only 7 percent of those people respond to the placebo. That’s starting to show that cultural beliefs and attitudes, as well, can be important. It’s not just about your own individual expectations. Yeah, I found that one fascinating, too. Chris Kresser: Right. That’s reminds me of the one where we know the color of the pill affects the outcome of treatment, and that differs from culture to culture. I think in Italy blue placebos make excellent sleeping pills for women but have the opposite effect on men, and they eventually figured out that was because the Italian soccer team’s color is blue, which gets the men really excited! Jo Marchant: Yeah, exactly! What that tells you is it’s nothing to do with the pill itself. That’s a sleeping pill. It’s not doing anything. It’s all about what that treatment means to you. All these different results, that things are different in different places and different people, has given the placebo effect this sort of reputation as being a bit slippery and maybe not really real. But as soon as you turn it around and say, no, this is about what the treatment means to each individual person, then it makes complete sense that placebo surgery might be more effective than a placebo pill or that a blue pill will have a different effect in one person compared to another. Yeah, I think that’s the real insight from that study. Chris Kresser: Right, and that’s why Ted Kaptchuk says the idea of placebo, the definition of it as an inert substance is “complete nonsense.” I think that was the exact phrase you used in the book. Jo Marchant: Yeah, because an inert substance doesn’t do anything. What’s doing it is your mind and what that treatment means to you. Yeah. Chris Kresser: I think another misconception about placebo is just that it somehow kind of alters our perception of things without really causing any measurable changes in the body, but we know that that’s completely untrue now. Can you talk a little bit about some examples of that? You mentioned in the book some neuroimaging studies, I think, related to Parkinson’s and some studies of endorphin production related to placebo. Jo Marchant: Yeah, this was one of the things that really surprised me, actually, when I started looking into placebo studies. When people will respond to a placebo, what’s causing that are actually biological changes, measurable changes in the brain, that are very similar to those that are caused by drugs. For example, placebo painkillers can trigger a release of endorphins in the brain, these natural pain-relieving chemicals, and they’re actually the chemicals that opioid drugs, things like morphine and heroin, are designed to mimic. If you respond to a placebo and feel that it eases your pain, you haven’t imagined that. That’s not all in your mind. That is caused by exactly the same physical change as would occur if you took the actual drug. Then with Parkinson’s, for example, when patients take a placebo Parkinson’s drug, you see a flood of dopamine in the brain. This is the neurotransmitter that they are missing that they will get if they take the drug. There are even studies with altitude sickness, showing that you can give people fake oxygen and see a reduction in neurotransmitters called prostaglandins, and these do things like they dilate blood vessels, they increase our sensitivity to pain, and they cause many of the symptoms of altitude sickness. So again, altitude sickness is being eased by a very real measurable physiological mechanism. Fabrizio Benedetti is a neuroscientist in Italy and one of those pioneers of placebo research. He often says there is not one placebo effect, there are many, so the mechanism is different for every condition that you look at, and researchers are only just starting to kind of get a handle on that. There are certain key ones like pain, Parkinson’s, depression is another one, that are quite well studied, and they’re only just starting to discover about other ones, but the key point here is that, yes, it’s not imaginary. These are really biochemical changes, often very similar to the ones caused by drugs that are underlying these changes and symptoms. Can placebo heal underlying conditions? Chris Kresser: That’s really fascinating to me, and from what I’ve gathered in the research literature and also reading your book, it also points to one of the main understandings of how placebo works, by altering our own innate responses. It’s boosting chemicals or neurotransmitters or hormones that we produce on our own, and the idea is that placebo can’t do anything that involves bringing some chemical or something from outside of the body, of course. The understanding has been so far that that means that placebo won’t really fundamentally lead to a healing of an underlying cause or really change something fundamental in the body. It’s just going to mostly change our perception of it and our experience of what’s happening. But then you had a chapter in your book that raised some examples of where that may not actually be the case, and in fact, the placebo effect may be able to alter underlying physiology and possibly even—dare I say it—heal disease. Can you talk a little bit about that? Jo Marchant: Yeah, we’ve been talking so far mainly about symptoms or conditions that we’re consciously aware of, things like pain, fatigue, nausea, depression, and placebo responses here can be quite large. Gut problems is another one. Here it seems that just the sort of conscious knowledge that you’ve received treatment can create quite large changes in the symptoms that you experience, and as I said, that’s underpinned by these biological, physical changes. But a kind of very new realization, really, in this field is that there is another class of placebo responses which can actually influence things like the immune system, so immune responses, levels of hormones in the body, so starting to really get at the physiological process of disease. And in a lot of these cases it seems that simply the sort of conscious belief of having taken a drug or expecting to feel better doesn’t seem to be enough. What causes these changes are learned associations. If you’ve taken a drug in the past that has a particular physical effect on your body, your body learns that response, so that then in the future if you take a placebo, it will automatically trigger the same response, but it won’t happen if you just took a placebo for the first time. Jo Marchant: You have to have had the drug in the past for your body to learn how to respond to it. It’s called Pavlovian conditioning. I don’t know if any of your listeners would have heard of Pavlov’s dogs. Chris Kresser: Yeah, I think so. Jo Marchant: Where the Russian physiologist taught his dogs to associate being fed with a light flashing or the sound of a buzzer, for example, until eventually they would salivate just in response to the light or buzzer. That’s a learned association, and that works on people, and, yeah, it works on immune responses, it works on hormone levels. In Parkinson’s patients, for example, there’s some very new research suggesting that that’s actually what’s underlying the placebo responses rather than just the conscious belief. It gets quite complicated. The two work together because if you’ve received the drug past, obviously that also strengthens your conscious expectations. Jo Marchant: There are different things all entwined here, but I think this starts to get really exciting because you can start to influence physiological processes in the body. There’s some very interesting research, for example, with organ transplant patients, looking at whether we can sort of teach the body the response to immunosuppressant drugs. Then you can use placebos to suppress the immune system, and that really helps to reduce drug doses, which is important because those drugs are incredibly toxic. In kidney transplant patients, for example, the drugs are toxic to the kidney, the very organ that you’re trying to save, so being able to reduce drug doses is critical for these people. It’s not a question of whether we can do without drugs completely, but by using the two things together in a smart way, we can hopefully use sort of psychological cues in the mind to then reduce the doses of the drugs that we need to take. Chris Kresser: Right. I thought that was one of the most exciting possible applications of this. I remember the study you wrote about in the book. You can correct me if I get any of the details wrong, but they’re basically using this principle to reduce the effective dose of the medication needed to have this effect, and they’re using certain things like strong colors and music to create the association between the placebo and the active substance so that over time, as long as those associations are present, let’s say a patient drinks a placebo liquid that’s bright green while they’re listening to one of their favorite songs along with the active medication. Over time, they can gradually reduce the level of active medication and increase the amount of placebo. As long as it’s bright green and they’re listening to that music, they’ll still get the same effect as if they were taking the full dose of the active medication. Jo Marchant: Yeah, they have this bizarre drink. It’s actually strawberry milk mixed with lavender oil and green food coloring. It is really disgusting, actually, but the idea is to have something incredibly distinctive and new that you would never have experienced before, that you won’t forget, and take that alongside your drug a few times so that then when they have the drink on its own, you see that same immunosuppressant effect, and they’ve shown that now in trials with healthy volunteers, and they’re just starting to look in transplant patients. I focused on the transplant patients because that was an ongoing study, but there’s also work in people with autoimmune disease, for example, everything from psoriasis to multiple sclerosis. The work is at quite an early stage, but it looks like it could be a really promising effect in starting to bring down drug doses. Even potentially in cancer as well, there are some cancer drugs where they’ve shown that you can do this conditioning, this learned association with the drug, to then have the same effect with a placebo. Again, with chemotherapy, if you could reduce drug doses, that would be incredibly important. Chris Kresser: This raises, of course, an interesting question about ethics. Some researchers or clinicians have claimed that placebo surgery is unethical because then the people who are receiving the placebo aren’t receiving any active surgery, but one of the researchers—this might have been in your book or somewhere else—or a physician said it’s actually unethical not to do that because if you can provide a treatment that has almost zero chance of any adverse complications, that does the same thing as the active treatment, which actually has significant risk, then it’s unethical not to do that. It seems like we’re going to have to adjust our approach a little bit or our thinking around this because now there are trials with what are called “honest placebos,” right? Where patients are even told that they receive a placebo. You would think that wouldn’t work at all because of the idea that placebo is based on our beliefs, but that’s not exactly true, is it? Jo Marchant: Yeah, that’s right. There are trials now in irritable bowel syndrome, migraine headaches, depression and ADHD, showing that you can give people placebos, they know it’s a placebo, and it still has an effect. It isn’t always necessarily as good as a placebo that you think is a real treatment, but it’s significantly better than no treatment. There are several possible reasons for that. One is that they might be working partly through these learned associations that I was just talking about. The thing about these learned associations is your conscious expectation doesn’t matter. Your body does this automatically. That could be one thing that’s going on, even with things like pain. Another is that it’s just simply being treated, being part of a trial, receiving treatment, being looked after, even if you know there’s nothing in the treatment that you’re getting. Just that feeling of being sort of safe, supported, looked after, is doing something at a deep level, perhaps, that is helping to sort of create these changes and ease those symptoms. It’s not just the sort of surface expectation of getting better; it’s something deeper about feeling cared for that’s the important thing. Some of the studies that I mentioned before about looking at the attitude of the practitioner, for example, and the length of the consultation, are starting to show that all of those factors are important, too. Chris Kresser: Right. You mentioned the IBS acupuncture trial where the treatment was performed with just kind of polite, but cold affect. They did receive a response, but it was nowhere near as high as the one where they spent a lot of time and were really caring and empathetic with the patient, and I’ve seen lots of other trials with similar results. Let’s talk about the flipside of that, though, which is the nocebo effect. There are studies that show that if you do a study and you separate patients into two groups and you give them both a placebo and you don’t say anything about side effects to one group and then to the other group you say, “Oh, well, you could experience a headache, and you might have some digestive discomfort,” what happens there? Jo Marchant: Yeah, that’s absolutely right. You start to see the side effects in the people getting the placebo, and this is something that’s a problem in clinical trials generally. A lot of people drop out of clinical trials because of the side effects, who were in the placebo group. A large proportion of the side effects we experience are just down to that, down to our expectation that we might get them, so that is an argument perhaps not for reading through that long list of side effects when you take a medication! Chris Kresser: And we’re talking about really large differences, too. There was one for, I think it was erectile dysfunction maybe, if I’m remembering correctly, and it was something like the people who weren’t told anything about it, it was like 7 or 8 percent, and in people who were told, it was—I don’t know—about 40 percent. Am I remembering that correctly? Jo Marchant: It was something like that, yeah. There was one study that showed men who had been prescribed a beta blocker for heart disease, and this particular drug has erectile dysfunction as a side effect, and amongst the men who didn’t know what they were taking, didn’t know about the side effects, 3.1 percent of them suffered from erectile dysfunction. But amongst the men who did know what they were taking and knew that this was a side effect, 31.2 percent of them suffered erectile dysfunction. Chris Kresser: Wow. A ten-fold difference. Jo Marchant: Ten times as many. If that was to carry over into the rest of clinical practice, that’s suggesting that perhaps only a tenth of the side effects that we’re experiencing are actually down to the drugs, and the rest are down to the nocebo effect. Chris Kresser: Which leads to another ethical conundrum, and I actually saw a paper about this… maybe you referenced in your book or I came across it elsewhere, but it was a question about informed consent. As clinicians, when we prescribe a treatment to a patient, informed consent holds that we should inform them of the relative risks and benefits of the treatment, including potential side effects and complications. But now, knowing what we know about nocebo effect, is that really the best strategy, to tell patients exactly all of the side effects that they could experience taking the drug? On the one hand, now we know that doing that is effectively going to increase the chances that they could experience those side effects, but not doing it also seems somewhat unethical because then someone is going into the treatment blind. It’s an interesting conundrum to me. Jo Marchant: Yeah, I think we do need more research into the effects of this, but I think you can still be honest. I think we have to sort of tell people about side effects, but how you tell people and the wording you use and when you tell them can make a big difference. Even, for example, there are some studies showing that people undergoing invasive medical procedures that they’re sort of conscious for, so things like breast biopsies, for example, or some forms of tumor destruction are done while people are conscious, and if the medical staff say, “Oh, this is going to hurt!”—which they’re very fond of doing—they showed that that dramatically increases the pain and the anxiety that those people feel immediately afterwards. And even saying things like, “Oh, this will only hurt a little bit,” all the patient hears is that it will hurt. Chris Kresser: Yeah, no one believes that! Jo Marchant: The pain still jumps up! Those researchers were suggesting that actually what you should do is tell people about exactly what’s going to happen and what might hurt or not hurt in the informed consent phase before their medical procedure, but once you get into the medical procedure, they’re saying you should strip out all of that negative language, not say anything about pain. Tell people what’s happening, but without those judgments about how much it’s going to hurt them. They’ve done studies showing that this really does help to reduce people’s levels of pain and anxiety, which in turn reduces the amount of sedatives and painkillers they need and perhaps even the complication rates. It’s just part of a different attitude towards how we convey this information and the realization that it does matter for outcomes the words that you use and how you say these things. Chris Kresser: Absolutely. I’ve noticed that as a parent. Since I’ve become aware of this, if we have to take our daughter to get a blood test or something like that, we’ll take exactly that strategy. We’ll explain what’s going to happen to her beforehand, but when the time comes to do it, we’re just very matter of fact about it. We don’t say things like, “Oh, this is only going to hurt a little bit!” because, of course, kids figure that out very quickly that that’s a codeword for “This could hurt a lot!” It’s interesting to watch how differently our daughter behaves when we talk about it that way or when we take that approach. Jo Marchant: Yeah, I agree. I’m very different with my kids now. I’m very aware of how I can sort of implant things by the words that I use. Yeah, I’m very careful in exactly the same way. Also when I’m giving them medicines or even just kissing better a scraped knee or something, I try and do that with a lot more care and attention, telling them how that’s going to help them. Also the power of distraction, as well. That’s something else that I look at in the book and the very real effects that that can have on pain, even for severe burns patients going through very agonizing pain. That’s a related phenomenon. Chris Kresser: Yeah. I’d love to just spend the last few minutes here talking a little bit more about that. The last thing I want people to think is that this is all kind of philosophical and theoretical and doesn’t have any real practical application because it really does. As I said in the beginning, I’ve thought a lot about this in terms of how I approach patients, but also in my own practices, how I take care of myself, how I take care of my daughter. You mentioned one example of when you’re giving some medicine, if you say, “This is really going to help you. It’s powerful medicine, and it’s stop you from coughing. You’re going to feel so much better.” That actually, we know now, can have a real, measurable impact. Jo Marchant: Yeah, and I think most parents kind of know intuitively that that works on their kids, but what the studies are showing is that these things matter for all of us, not just children. And I don’t think it’s a case of, oh, we give up on the physical drugs, and we just need placebos. Jo Marchant: It’s using the two together so we have the best of both worlds. We still have the physical drugs and treatments, but by understanding some of these factors, we can try and maximize the placebo responses we have to those active drugs because obviously you just get a placebo response with a placebo; you get them with the real drugs, as well. Jo Marchant: By knowing that, the expectations that we have important, so trying to engage with any treatment that you’re receiving, for example, and focusing on it and asking yourself if you feel positive about it. I spoke to a neuroscientist who researches placebo responses in depression, for example, who said they’re realizing that the patient’s attitude to an engagement with the treatment is part of their road to recovery, and if they’re feeling reluctant and not positive, you need to find a way of asking yourself how you can overcome that reluctance or there’s not really much point in having treatment. Or perhaps there would be a different treatment approach that would appeal more. Those things are important. It’s not a case of the passive patient just receiving whatever the doctor gives to them. As patients, our own attitude and engagement is important, and also just the social support, finding a practitioner that you respect and trust and feel that you have a bond with. That’s going to matter. Yeah, there are all sorts of practical ways in which we can hopefully do better with the drugs that we are taking. Chris Kresser: Right, because that relationship with a practitioner is something that helps determine your belief in or enthusiasm for a treatment, which can affect the treatment outcome. One thing I saw back in my own period where I was dealing with chronic illness myself, initially my kind of initial response was to seek out as many opinions as possible. I had a period of time where I was seeing maybe two or three practitioners at once, and I was getting different information from each of them, and what I eventually realized was that was a really bad strategy because different advice from different practitioners was kind of making me doubt whatever treatment that I was doing. Without even knowing any of this research at that time, I knew that that was having a negative effect. Just choosing one path and committing to it and really engaging with it as much as possible was something that helped a lot in my recovery process. There’s a story you tell in the book I’d love you to talk a little bit here about, and it comes out of this understanding that placebo can be helpful even when we know it’s placebo. There are companies now that are selling placebo medications online. I’m not recommending that anybody do this and stop taking their active medication. Of course, you need to talk to your doctor about that, but you, I think, went ahead and ordered a placebo medication and took it for some pain you were having, and it actually helped you. Is that right? Jo Marchant: Yeah, I had these placebo capsules, sort of blue and white gelatin capsules. They look like the drugs that you would buy at the pharmacist but they’re empty. There’s nothing in them, but they’re packaged beautifully. The company is called Aplacebo, and they’re very clear about what’s in them. You know they’re placebos. I had seen the studies on honest placebos working, so I thought I’d give it a try. Yeah, I just had a splitting headache one evening, my kids were sick, I just about got into bed, I was going to have to work all evening, so I just thought I can’t afford to have this evening blown out. Let’s give it a try. Chris Kresser: Yeah. Why not? Jo Marchant: I had them in the cabinet where I have my other pills. I stood there in the kitchen, took them with a glass of water, trying to imagine those endorphins flooding into my brain, and about 15 or 20 minutes later, the headache did go on its own. That doesn’t mean anything. Maybe my headache wasn’t going to last very long anyway, but I did think it was interesting because that is also shown in trials, that honest placebos can still have an effect. I found it quite empowering, really, I think just to realize the role that our brain plays in sort of controlling and creating the symptoms that we experience. We have to listen to our symptoms. They’re important and they could be telling us about medical problems, but we don’t have to be ruled by them. By changing our attitude towards them, if you like, we don’t have to be as scared of them, and we still can have some control and carry on and do the things that we want to do. 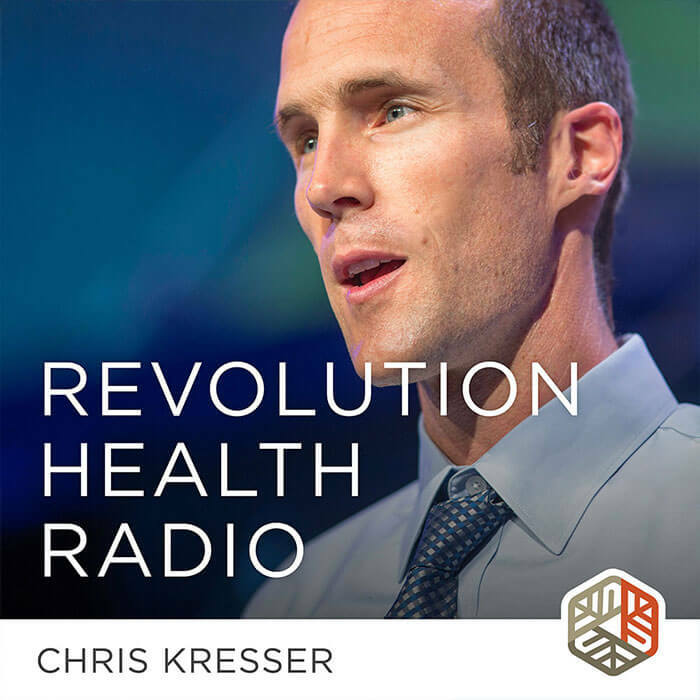 Chris Kresser: I remember one of my favorite doctors in the course of my recovery process, he actually handed out a sheet to his patients that was titled something like “How to Take Your Medicine.” He recommended creating kind of a ritual around it, where you sat down, and before you swallowed a pill, you’d kind of sit with it and envision the outcome that you would like to happen. It all sounds very woo-woo, really, unless you understand the real research behind this stuff and that that kind of approach makes a really, we know now, measurable difference in the outcome. Jo Marchant: Yeah, I’ve heard exactly the same from researchers. They recommend to make a ritual out of it. Take your pills at the same time and same place each day. Sit down, focus on it, think about the improvement that you want to see. I think it’s just part of realizing that we need to take an active role in our own health, not just sort of blindly take the prescription and swallow the pills and carry on, but actually take part in that process. Chris Kresser: Mm-hmm. Well, so far we’ve been talking all about the placebo effect, but that’s not only what your book is about. You also cover a lot of other really fascinating examples of the connection between the mind and the body. I think I read your book in maybe two days. I was really fascinated by it, and it’s something that I have been interested in for a really long time, so for anyone who’s interested in this topic, I really recommend Jo’s book. It’s called Cure: A Journey Into the Science of Mind Over Body. It’s one of the best science books I’ve read in a long time, and as you all know, that’s no small thing. I generally read about two science books a week. Jo, it was a pleasure to have you on the show. Thank you so much. What’s next for you? Do you have any other books planned? What are you working on these days? Jo Marchant: This is still keeping me quite busy, actually! Jo Marchant: But I’m also really interested in the effect of the body on the mind. You can’t have one without the other. Jo Marchant: It’s a two-way street, so that’s another area that I’d really love to go into more deeply. I couldn’t write as much about that as I wanted to in this book, so, yeah, maybe that will be the next one. Chris Kresser: Great. Well, I look forward to that, and maybe we’ll have you back on the show in a couple of years to talk about that one! Jo Marchant: Great! Well, thank you for having me on. It was so lovely to talk to you. Chris Kresser: Thank you. My pleasure. Take care. Hi, I’m trying to find some of the studies Jo talked about in the podcast, relating to practitioner empathy and time spent with the patient having a placebo affect, but I’m not having much luck. Would you be able to point me in the right direction? I’m guessing the patients who received the fake surgery were anaesthetised. Chronic pain involves infection. The pathogens were put to sleep permanently by the anaesthetic. People are only going to experience the placebo effect if they have pre-existing expectations. If they don’t know what is going to happen then there will be no placebo effect. Really love the interview. I have worked in a community pharmacy in kenya where most patients with chronic illnesses get their medicines over the counter. There are times patients explain their problems we end up giving them something as simple as paracetamol and never tell what it is. The patients end up getting healed from their perceived severe infections. When working in a mental hospital, I was able to note the placebo effect in treatment of extrapyramidal effects of antipsychotics by giving placebo benzhexol tablets. What a good interview, I really really want this book! My podcast client is pointed to http://chriskresser.com/feed/podcast The episode is not there, yet. TIA. I really liked this article! It makes me thing of my great grandfather who was a doctor in the old west around the turn of the last century.. My dad has told me about how my great grandfather used to practice what was called “placebo medicine” or deliberately using the placebo effect to treat patients, kind of like what was discussed in this article. It’s like the old saying, ‘take two of these and call me in the morning’, when the pills that were given were in fact placebos! I believe medicine at that time was very different that what we get today. This was an interesting post, and I relate but not in the way one would think. I have a basic distrust in any kind of pharmaceutical intervention, even natural ones. When I was seeing a holistic MD for a GI condition, I relented and purchased the natural supplements recommended, but I didn’t believe they were going to help. Well, they didn’t. Perhaps they weren’t appropriate for my condition, but this article brings up a point I need to remember when seeking treatment in the future. I need to work with my practitioner and let them know about my biases so that a treatment plan that I more readily believe in can be constructed around my belief system, or in my case, my disbelief system.